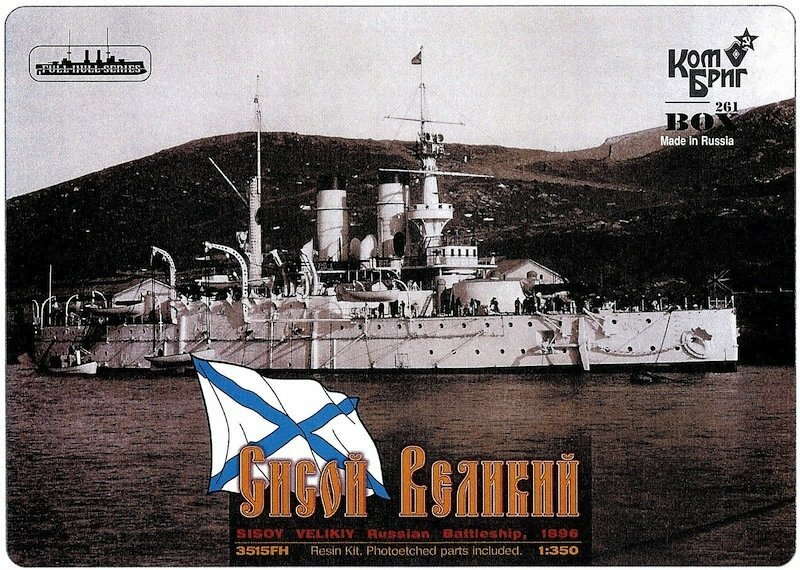 The Sissoi Veliky (Сисой Великий) was a pre-dreadnought battleship built for the Imperial Russian Navy. She took part in suppressing the Boxer Rebellion in China in 1900. She served in the Baltic Fleet and fought as part of the Second Pacific Squadron in the Russo-Japanese war. The ship was scuttled after sustaining heavy damage at the battle of Tsushima. She survived 12 hits by large caliber shells, but was torpedoed by a destroyer which started a major fire. The Sissoi Veliky was built by the New Admiralty yard, St Petersburg. She was laid down in May 1892, launched June 1894, and completed in 1896. On completion in 1896 the ship was sent to the Mediterranean to protect Russian interests during a conflict between Greece and Turkey over Crete. On 3 March 1897 the ship suffered a gun explosion during gunnery trials on killing 16 people and causing significant damage. The ship was repaired by Forges et Chantiers de la Méditerranée. In 1898 she was sent to China as part of a squadron commanded by Fyodor Dubasov and took part in suppressing the Boxer Rebellion. She returned to the Baltic in 1902 and sailed with the second Pacific Squadron to Tsushima where she was sunk.